A New Leader | Koch Enterprises, Inc. The 60’s also brought about George Koch Sons’s largest investment and the presidency of Robert L. Koch, third son of Louis. 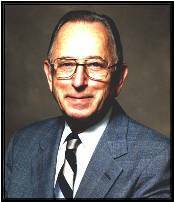 Robert was named president and CEO of the company in 1962. He served as president until 1980, but remained chairman until his death in 1989. Robert L. Koch steered the company through steady growth, increasing sales from $1 million to $200 million during his presidency. He also provided leadership for the Industrial Division’s emergence as one of the major equipment suppliers to American industry. Robert L. Koch was responsible for the one million dollar investment purchase of Gibbs Die Casting Corporation. While this was the biggest risk ever taken at George Koch Sons, it marked the beginning of a very successful new business for the company. George Koch Sons had acquired small subsidiaries before; however, none had proven worthwhile enough to greatly expand the business. The purchase of the large, family-owned company, Gibbs Die Casting, was different. It opened new doors for GKS. Gibbs Aluminum Die Casting Corporation was started in 1965 by Robert Kenneth Gibbs. He was the Chief Executive Officer, while his 26 year old son Nick was named president. In 1993, they changed their name to Gibbs Die Casting Corporation to focus on magnesium products as well as aluminum. Together they built Gibbs up to grow into one of the largest die casting companies in the United States. The manufacturing process of Gibbs has been accepted by the world casting market as superior to conventional die casting. “Automotive News” lists Gibbs Die Casting as one of the 100 top OEM suppliers to North America. Gibbs operates four factories making custom aluminum and magnesium castings, machining, and assembly and die building. Nick oversaw the daily operations of the company until his retirement in 2005. Ken Sparks served as president from 2006 until 2009. In January 2009, Steve Church, James Muehlbauer’s son-in-law, became the third president and CEO of Gibbs.